Geppetto fashioned the puppet in the image of a small boy. Even as the lonely and kind woodcarver worked far into the night, old Geppetto was not aware that the wood under the chisel had come from the trunk of an enchanted tree. But the Blue Fairy was aware, as she watched from afar and gave to that puppet the gift of life. 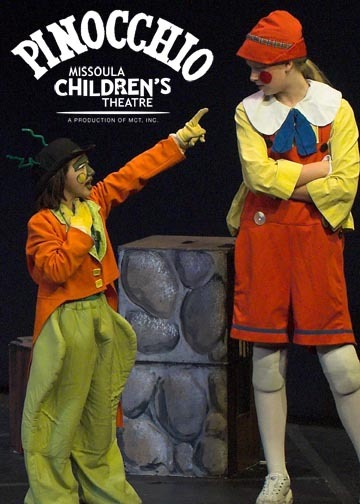 Thus begins the Missoula Children’s Theatre adaptation of one of the most beloved of all children’s stories–PINOCCHIO. The camp meets at the Shelby County High School, Columbiana, AL.